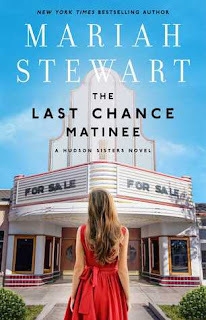 Last Chance Matinee is the first book in a series about the Hudson sisters. This was my first Mariah Stewart book, so I didn't know what to expect. The story had me hooked within the first few pages and I was surprised at how easily the book flowed from one page to the next. The characters were fun, the setting was quaint and I couldn't wait to find out more. The story follows three sisters as they find out that their father has passed away and that he had been living a double life. They have to deal with the loss as well as the new surprising idea of getting to know a whole other side of the family that they didn't know existed. One of the things I enjoyed the most about the story was the low amount of drama. It made the story feel more like a real life experience instead of the high drama of a reality TV show. I loved the characters and felt that each of them added a special something to the story. As the story began to get closer and closer to the ending, I realized there was still so much that needed to happen. I started to panic a little bit because, hello... I needed MORE! Then I realized that it was the first in a series, thank goodness! As you can tell, I really loved the story and the characters inside. Last Chance Matinee is a story about love, forgiveness, and focusing on the importance of the life in front of you. 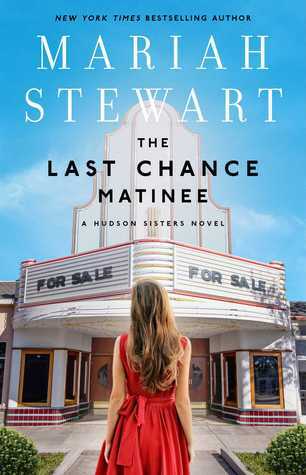 I thoroughly enjoyed it and look forward to more books about the Hudson Sisters. * I received an ARC from NetGalley and Gallery Books in exchange for an honest review.